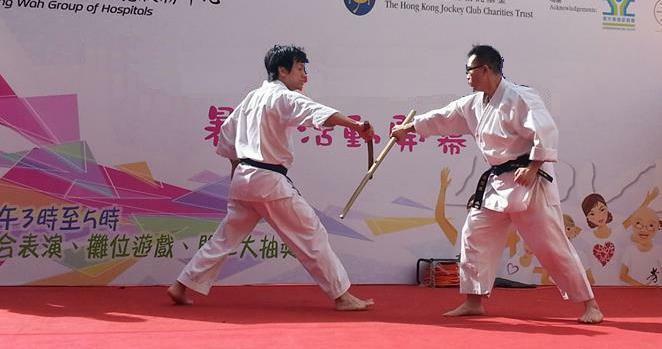 Hong Kong Korindo Aikido is a nonprofit community dedicated to the promotion of Korindo Aikido in Hong Kong. Korindo Aikido is a Japanese martial art which inherits traditions from several martial art schools, including taijutsu, kenjutsu, jojutsu, and other weapons. It was founded by Master Hirai Minoru some 80 years ago. 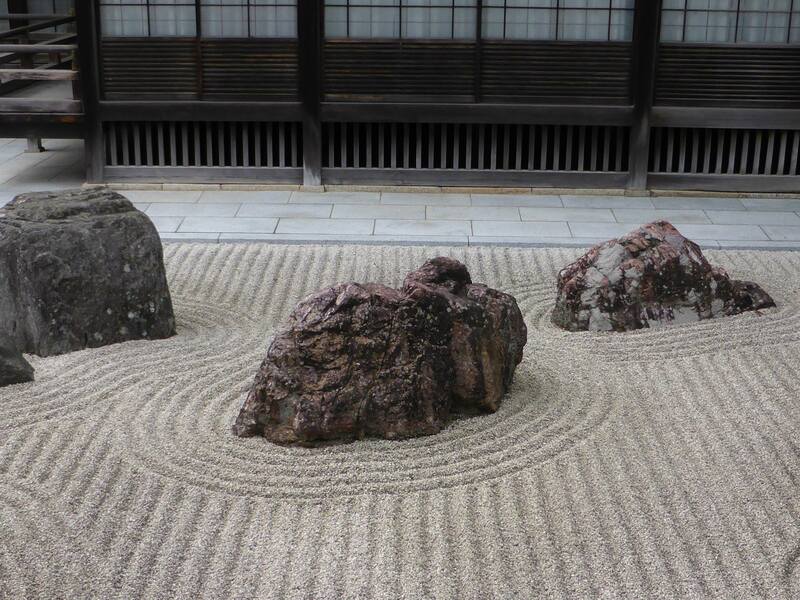 Our page (�祇�券���渡雯��) at Hombu website. 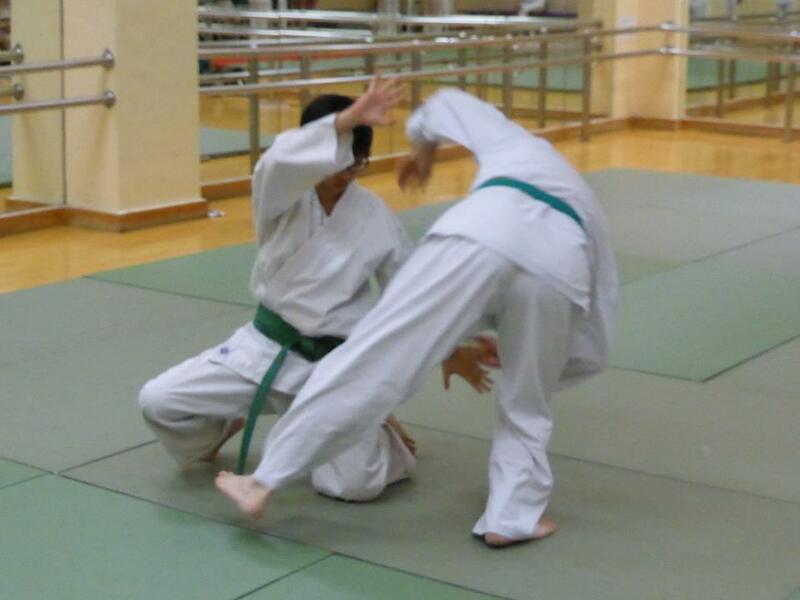 Training in Korindo Aikido covers three areas: taisabaki, kumikata, and randori. Taisabaki is the training of body movement and coodination; kumikata shows us various attack and defence methods which were developed to illustrate principles of martial art; and randori is a free-style exercise for students to apply what they have learnt. Only those who have received continuous training (for at least 3 years) and passed all the exams will be recommended by our Sihan to Japanese Hombu (headquarters) for a dan qualification. A special class is scheduled on every Saturday for people who wish to learn more about Chinese internal martial art. This is a class of Liu He Ba Fa (�剖���急�), a martial art school founded by Chen Tuan (�單��) in the Sung Dynasty a thousand years ago. Chen Tuan is a major character in taoism history. His school has had very strong influence on Tai Chi and other taoist philosophies over the centuries. However, the martial art of LHBF has passed on exclusively among taoists who kept the art as a secret until the recent years. Our class welcomes anyone who is interested to learn internal martial art. As powerful as any other schools, LHBF forsakes muscular strength but focuses on total control of body and minute movement of body parts. From the outside, some resemblances between LHBF and Tai Chi (and other internal schools) give people a misunderstanding of what it really is. LHBF is a totally different experience; it is far perhaps more difficult or complex, something that is so unique that the legacy is passed on only among a few people, if it is not slowly dying out.